Members of the public are invited to submit comments on the proposed changes to the rules. 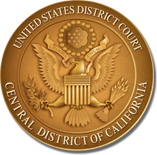 Comments may be submitted to <lr_publiccomments@cacd.uscourts.gov> or in hard copy to Kiry K. Gray, District Court Executive/Clerk of Court, 350 West 1st Street, Suite 4311, Los Angeles, California 90012-4565. No facsimile transmissions will be considered. All comments must be submitted no later than March 6, 2019. All timely received comments will be considered by the Court before final adoption of the rules.